Grandville Avenue students study, dance and experiment their way to academic success and future possibilities. Learn more about this awesome organization! Sometimes the words “improving literacy” can be just that: words. But words make up stories filled with real kids, real families and real struggles and successes. 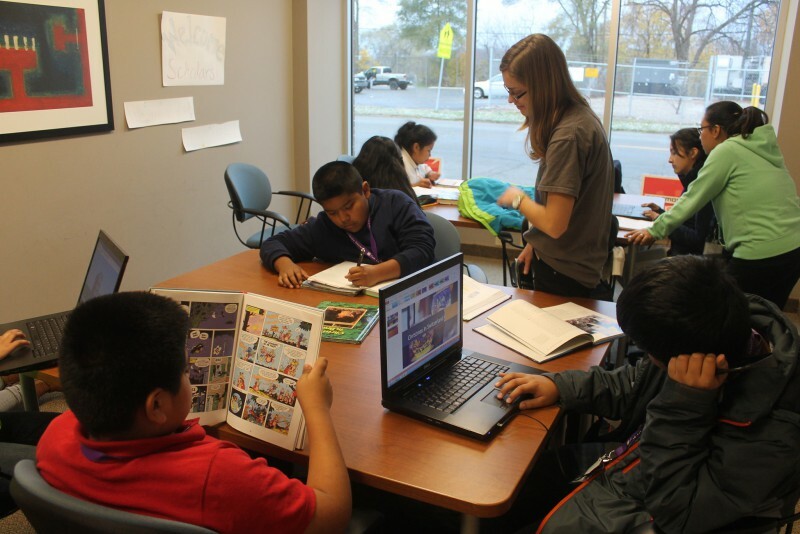 Some of those stories are embodied in the Cook Library Scholars, students participating in a long-term, wrap-around program designed to prepare youth in the Grandville Avenue neighborhood to achieve academic success and to serve as future leaders. Launched last fall at the Cook Library Center, the program combines homework completion, academic enrichment, mentorship, and family literacy components. Scholars also devote time to volunteerism and to leadership and life skills training. The program currently serves 33 students and their families. A neighborhood hotspot for community building and learning, the Cook Library Center buzzes with activity during the after school hours. Once the scholars have finished their homework, they participate in a rotating schedule of activities in the areas of dance, science, art, and writing. Fourth-grade scholar Mary was also a fan of the science experiment, and cites reading as one of her favorite activities. She missed last year's visit by author Sonia Manzano, famous for playing Maria on Sesame Street, but treasures an autographed copy of one of Manzano's books. Visits from famous writers are just one form of encouragement that Cook Library Scholars receive. The general mindset seems to be, The sky's the limit! For example, what does Mary want to be when she grows up? 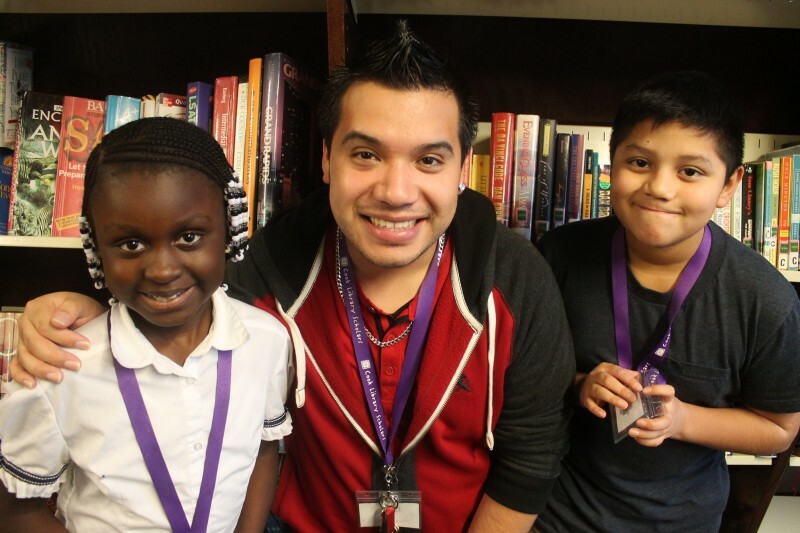 Cervantes, who draws on his five years' experience with the YMCA's after school LOOP program at Buchanan Elementary, is committed to his work in the Grandville Avenue neighborhood. Like many good things, it's an effort that takes time and students can't go it alone. This is why the dedicated involvement of the scholars' families is a requirement of the program. Well-attended monthly meetings help parents gain parenting skills, from how to start a conversation about college to ideas for no-cost, age-appropriate activities the family can do together at home. “The Cook Library Scholars was created to be a returning program for students K-12,” Cervantes explains. A family culture of learning together enhances students' success and increases their chances of returning. Cervantes says the majority of last year's students returned and improvements in spelling and math skills are already evident. And it's no wonder, with the culture of connectivity and encouragement that pervades the library. Improving literacy is more than just words on a page. It's kids like Mary and Dylan and the 31 other Cook Library Scholars, working hard, expanding their minds and their idea of what is possible, and leaning together toward a bright future.